This is my third version of Vogue 8728. It is not however, my first make of 2014. In fact, I made it last year around September just before we left Sydney, and never got around to photographing it. I won’t go into any construction details because I did all that when I blogged about my first version here – and just in case you were wondering, yes, I do address the gathering at the bust! And then, if you felt like seeing my second version, it’s blogged right here. This green version is made out of a beautiful, soft, wool blend knit that came in the form of a 3metre remnant on sale (does anyone else think ‘3metre remnant’ is a bit of an oxymoron?). 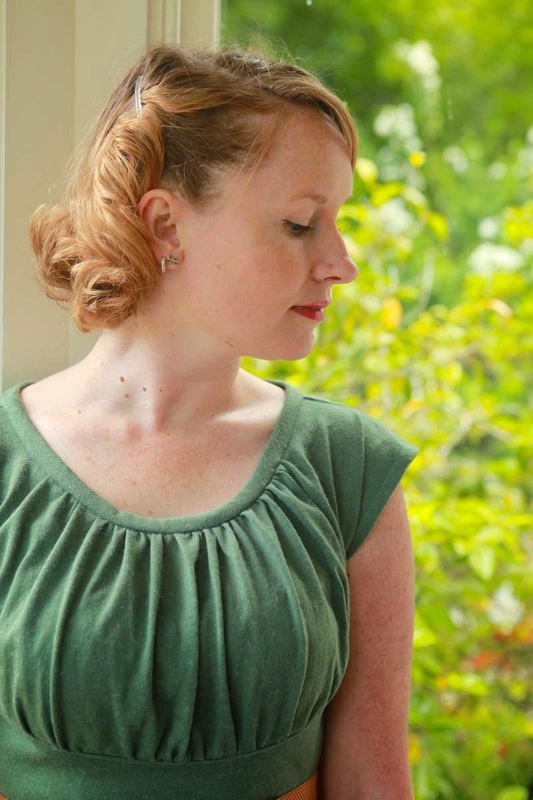 I still have some left and am scheming up a plan to turn it into a 40’s-ish long sleeved top for winter – we’ll see how that goes. For more info and pictures, head on over to my blog Jennifer Lauren. That is so pretty! Thanks for sharing! I recently found this original pattern in my dearly departed grandmother’s pattern hoard. I recognized it right away, thanks to its reprint and to all the lovely dresses the sewing world has made from it! Oh wow, that is so amazing that you have the actual original pattern! Mine is the reproduced version, but it’s still such a pretty dress. I’d love to have a look at the original instructions to see if they made any changes or if they just printed as is. 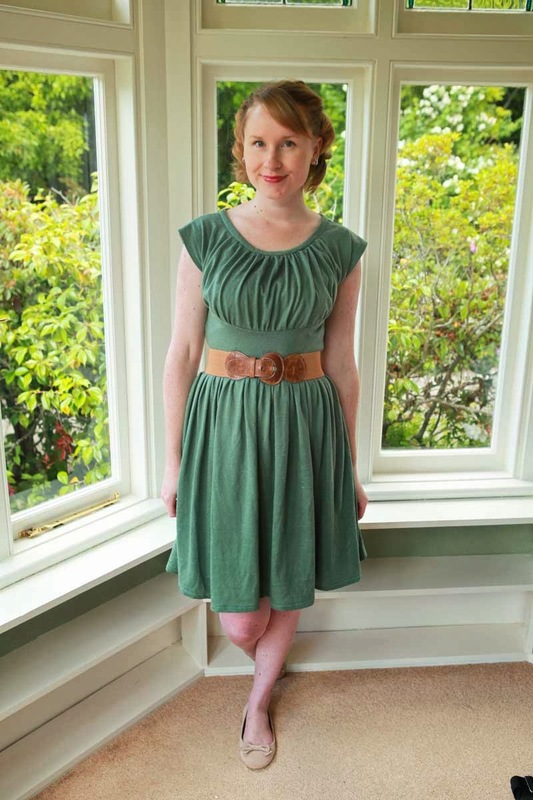 Beautiful dress in green wool knit! 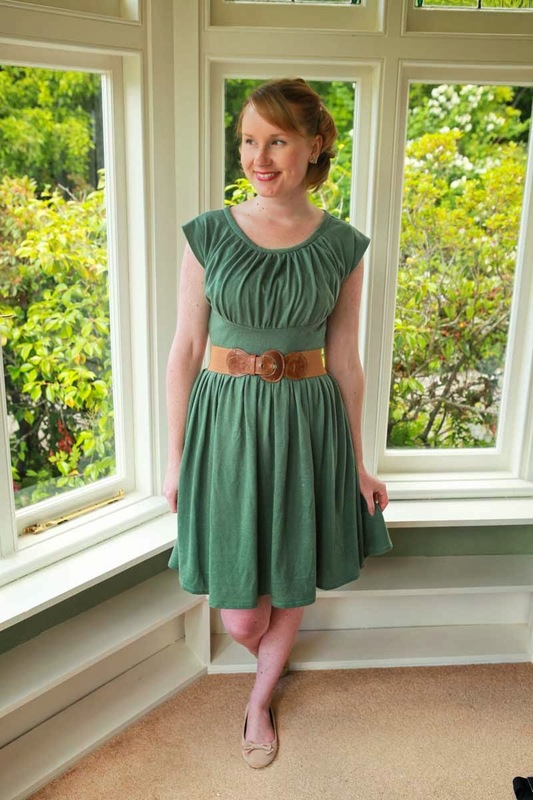 Thanks for blogging about your construction issues–very helpful to me as I also have this pattern, and have a red rayon/wool crepe to use for it. I’ll definitely wear a slip underneath!! That’s such a great dress, and it just drapes perfectly! Extra points for wearing anything with wool in it.